In 1933, at the Berlin motor show, Jewish engineer Josef Ganz presented a revolutionary “Volkswagen” before Hitler. Fast forward five years: Hitler introduces the KdF Volkswagen to the German people while Ganz is erased from history. Our aim is to rebuild Ganz’s original 1933 “Volkswagen” – and give him back his well-earned position in automotive history. 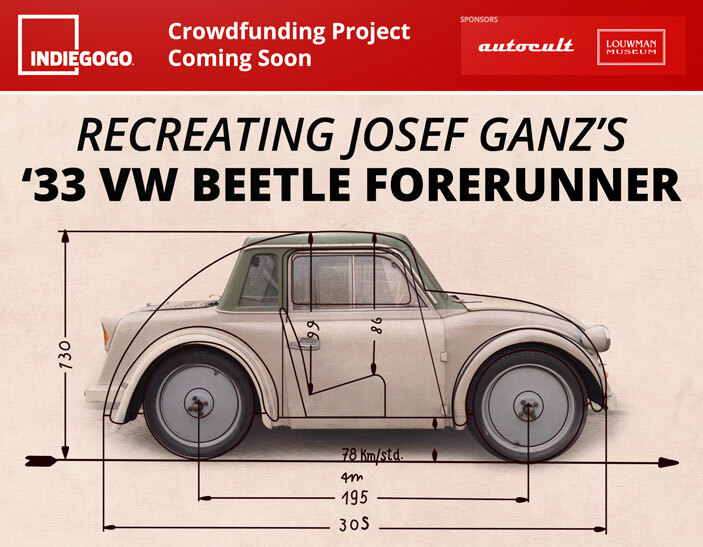 We have secured the only surviving car, but we need your help to recreate its original beetle shape. That’s why we worked hard during the past months on a crowdfunding project on the Indiegogo platform to fund the required budget to restore our car. Check out this website for more information soon. Meanwhile you can subscribe to our newsletter (on the left) to get the latest news first.